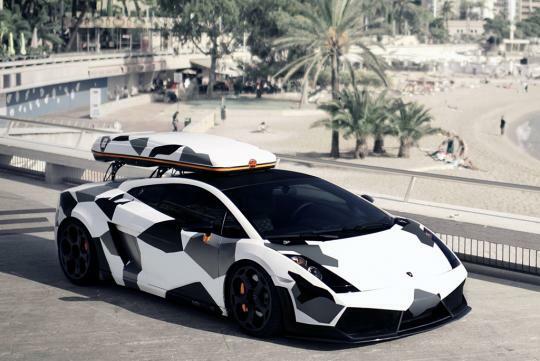 Like your car to look like some war battleship? 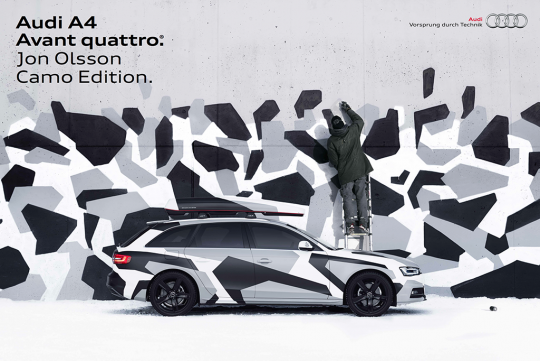 For those in Sweden, you can now buy your car brand new from the Audi dealer in camo-patterned paint job. 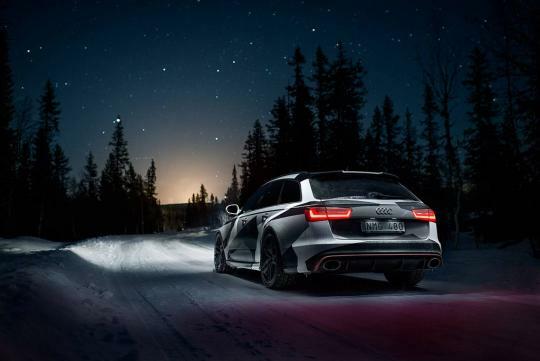 Only offered in A4 Avant form, Audi teamed up with skier and Audi enthusiast Jon Olsson to offer this limited edition A4 Avant. 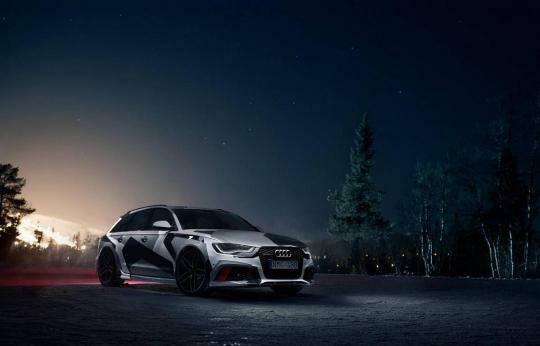 Limited to only 50 units, the A4 Avants have been finished in such a pattern to mimic Jon Olsson’s RS6 Avant (Jon had a similarly painted R8 and Gallardo too at some time). Costing near S$80,000, the A4 Avant will only be available with the 2.0-liter TDI engine and Quattro system. Some niceties include xenon headlights, sport seats, a sports suspension, 19 inch wheels and Audi’s S-Line exterior package. And of course, a roof box is also included to complete the look. 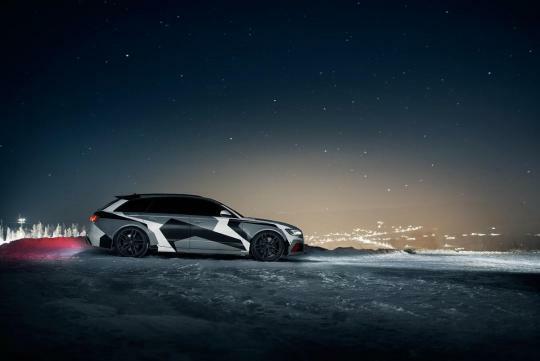 Below are some Jon Olsson’s other cars… Enjoy. Silly publicity stunt... I can do it for less than $2K at any sticker shop. And I can even get it done on my Chery QQ. 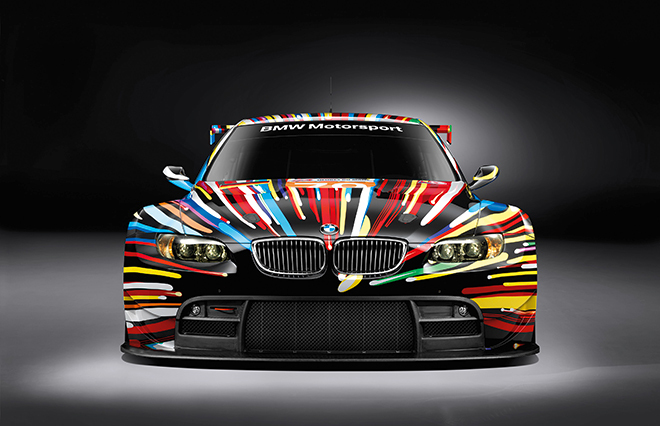 The only "art car" i find it nice is this one.